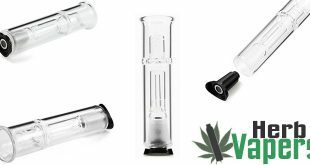 One thing you need to do while vaping your dry herbs is to grind them up nicely first, and this Hand Crank Herb Grinder is perfect for the job. It has a 3 chamber design, the top is where you load your herbs in the grinder, the middle chamber is where your ground herbs fall, and the very bottom chamber catches those delicious fine pollen crystals! The handle makes this grinder super easy to use and this hand crank herb grinder even comes with a small pollen scraper to make it easy to clean out all that pollen goodness. 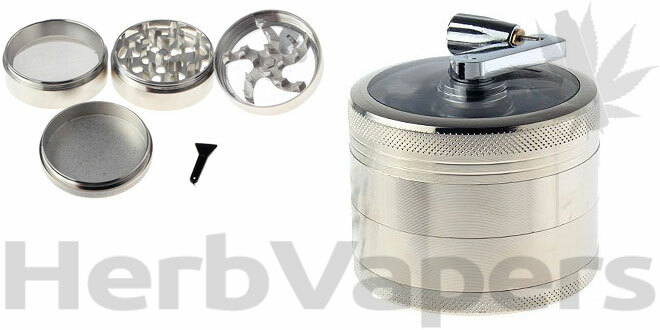 At this low price how could you not grab a hand crank herb grinder for yourself?